5 ingredients? I can handle this recipe for a quick bread for supper. It's planned already for tonight. I love it. 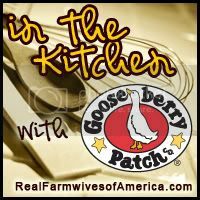 Thanks for sharing a great Gooseberry Patch recipe! I could make this tonight too! Now what goes well with bread.....;-) OH! We are having local wings for wing night. Still works! Cool! Great to see you yesterday! Thanks for all the work you put in to our little group of chickies! I'm it will be grandpap approved also. Who doesn't love cheese bread...!?!?! Thanks for sharing on 2 Maids a Baking!! YUM! That bread looks incredible...and it's so easy. Thanks for sharing the recipe with our readers. 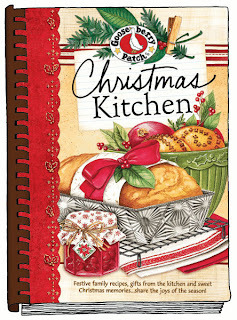 Can't wait to see what you'll make from Christmas Kitchen next!